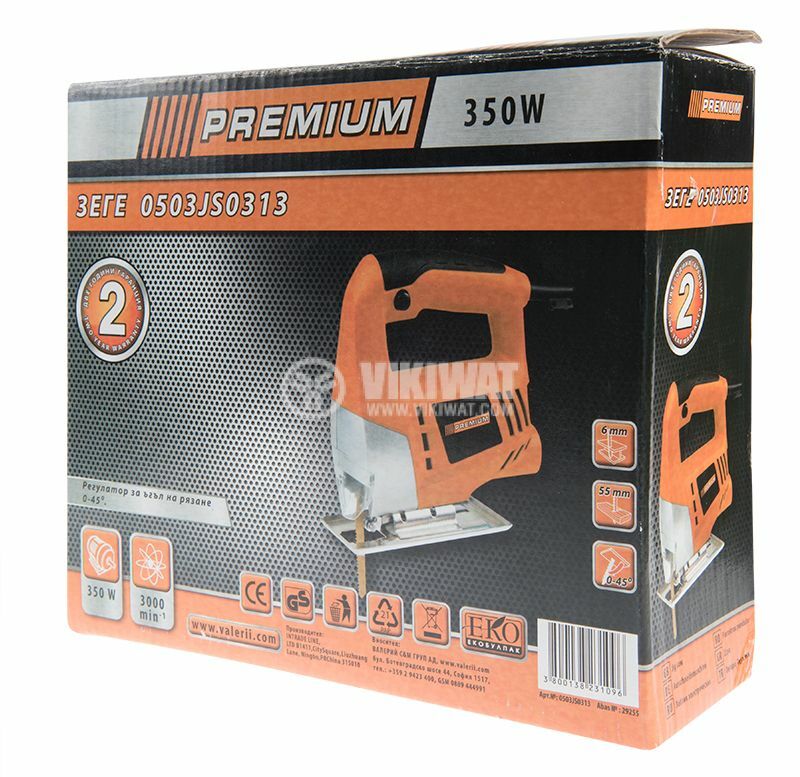 Jigsaw Premium with power 800 W, voltage 230 VAC and easy to grip rubber handle. 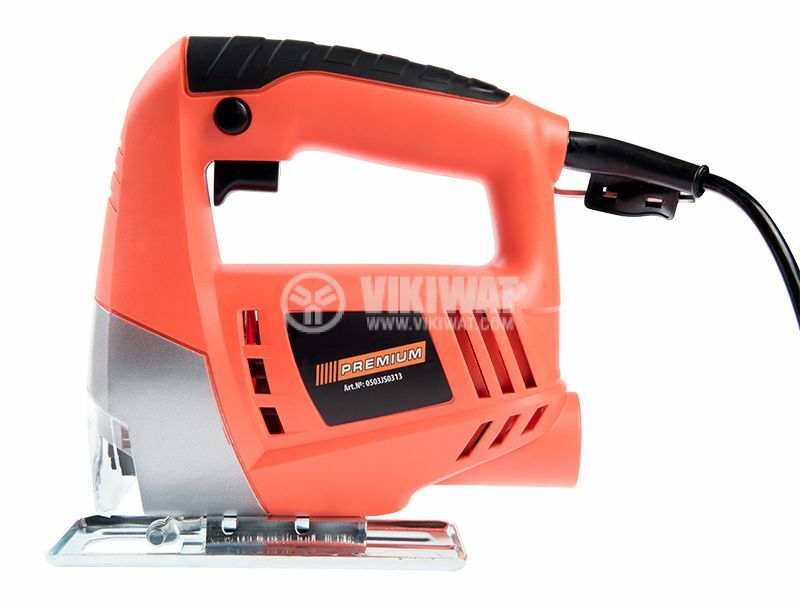 The electric jigsaw is designed for cutting and making cuts in wood, plastic, metal, ceramic tiles and rubber with a blade. 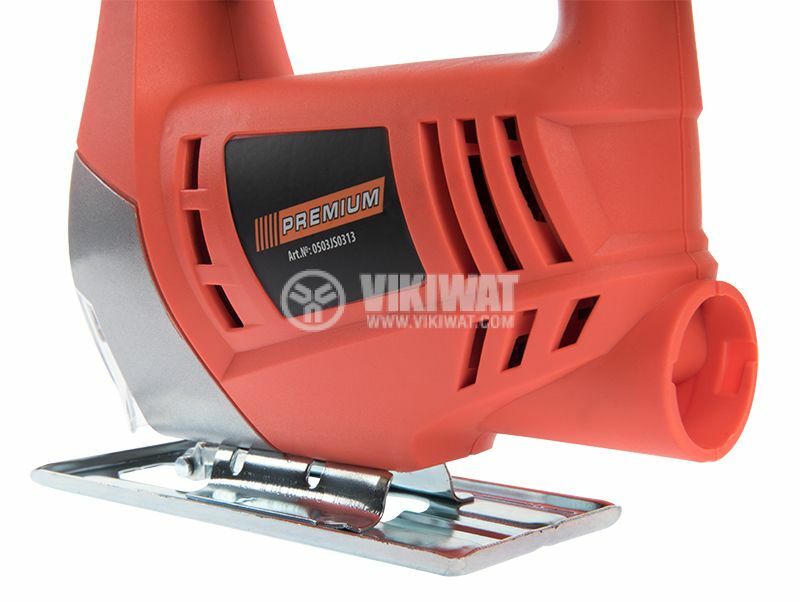 The jigsaw Premium has high cutting speed depending on the material and blade you choose. 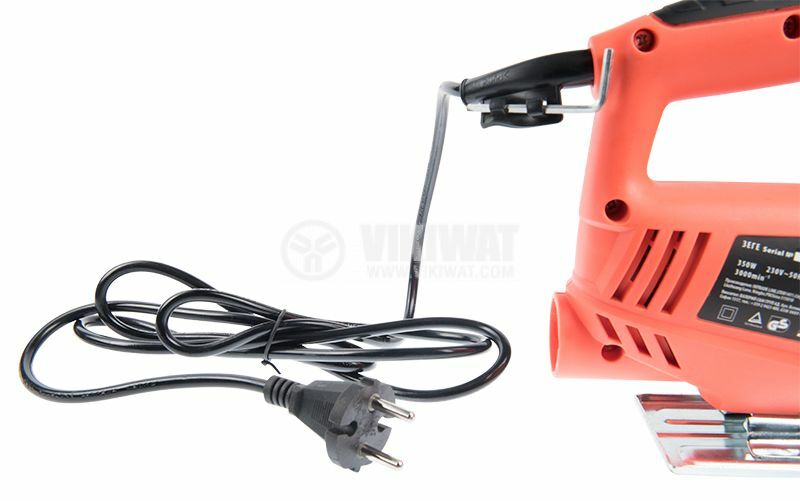 The rubber handle is easy to grip and provides convenience during prolonged usage. 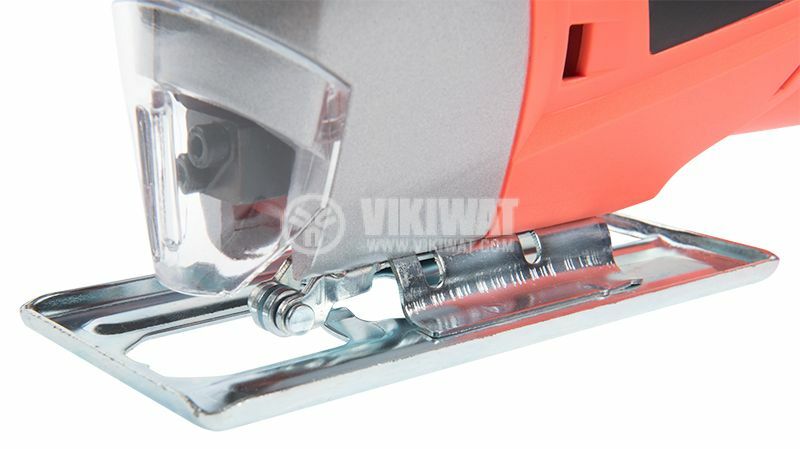 The blade has to be changed with 2 locking screws that can also regulate the cutting depth. noise level - 90 dB. Jigsaw, hexagon key, spare motor brushes, metal plate and user manual.